Polish Army wz.02/26 75mm field gun with Cavalry crew ! 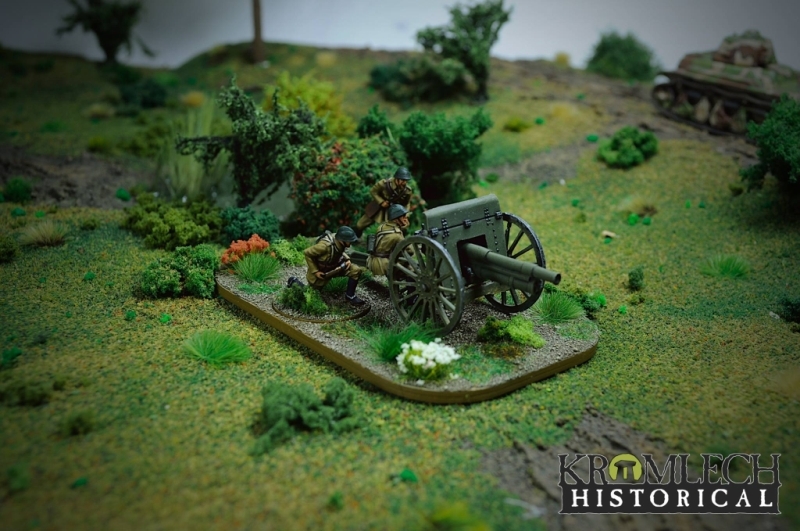 Kromlech Historical has something new for those of you who are interested in historical wargaming in WW2 theme. Cavalry artillery units were one of the most dangerous and unpredicitble for Germans. For example, during the battle of Mokra one of the Polish wings armed with wz. 02/06 destroyed over 80 tanks, losing only 6 guns.